Unlock more time and revenue by plugging into the processes of an actual seven figure agency & own your niche! Just curious, whether it is a course 10k call “THE ACADEMY”? Get this on Mega and I will get it if its the actual thing... tired of getting outdated GBs! Over 200 GB of content!!! Please show me how to buy? 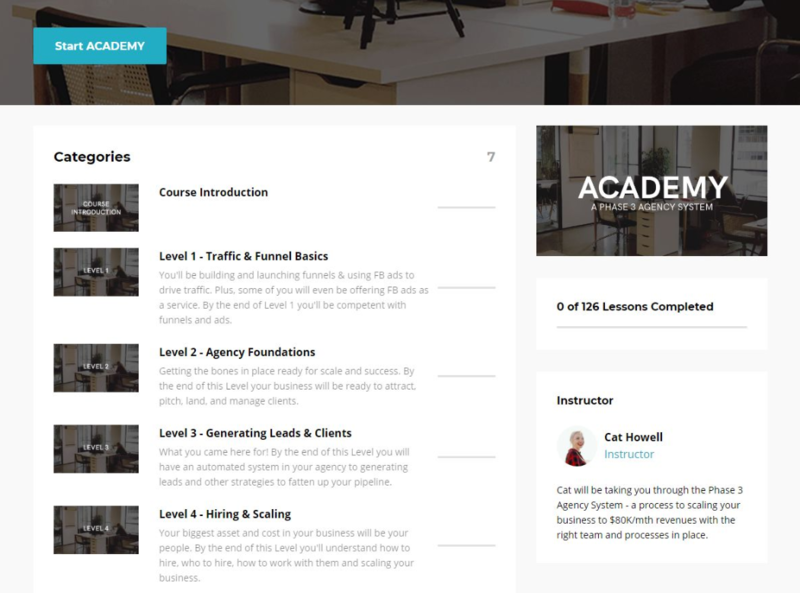 Is this the same course as this: http://www.edollarearn.com/threads/7...FB-Ads-Academy ? I checked and it doesn't have the calls and webinars. What's in bonus library ? Last edited by flarebusteR; 1 Week Ago at 12:20 PM. THE COURSE POSTED IN VIP IS INCOMPLETE, NO CALLS & WEBINARS & SOME MORE MISSING CONTENT!!! Does yours have the SOP's? Is this different than the one shared in VIP? Update: Sorry just read the comments above. Can you PM me the Google drive screenshot? Last edited by andyhaha78; 1 Week Ago at 11:17 AM.